The purpose of women’s history is not to idealize women. On the contrary, the stories of women’s achievements present a full view of the complexity and contradiction of living a full and purposeful life. . . . We know from research and from anecdotal studies that learning the stories of women’s success, talent, and accomplishments expands a sense of what is possible for girls and women. Information about women and their successes gives males and females alike a perspective that challenges some of our cultures’ most unconscious and archaic assumptions about women. Thus, women’s history becomes a story of inspiration and hope. A story of courage and tenacity. A story of promise, possibility and purpose. In honor of Women’s History Month, I want to recognize women who blazed the trails so that women and girls today can fulfill their dreams of going to law school and pursuing whatever careers they desire. Clara Shortridge Foltz was the first woman admitted to practice law in California. As you might imagine, it was not an easy journey for Ms. Foltz. Due to her advocacy, many women and minorities subsequen- tly have been admitted to the California Bar. Ms. Foltz, born in 1849 in Lafayette, Indiana, moved to California with her husband and five children in 1874. Two years later, at age 27, she divorced Jeremiah Foltz and faced the responsibility of supporting her family alone. After being denied admission to Hastings College of Law because of her gender, she began studying law in the office of a local judge. Ms. Foltz and fellow suffragist, Laura deForce Gordon, sued Hastings law school for discrimination. Ms. Foltz argued during her trial in the California Supreme Court that, “knowledge of the law of our land will make women better mothers, better wives and better citizens.” She won the case, forcing Hastings to admit women. Ms. Foltz was the first woman to attend Hastings, where she studied for two years before continuing with her practice and advocacy. She authored Senate Bill 66, popularly known as the Woman Lawyer’s Bill, to amend legislation that restricted the practice of law to white males in California. The bill replaced the words “any white male citizen” with “any citizen or person” within the code. The bill passed the California Legislature, and Ms. Foltz persuaded the Governor to sign it. Ms. Foltz passed the bar exam and, in September 1878, she became the first woman admitted to the California Bar. She also wrote the legislation known as the Foltz Defender Bill that effectively established the public defender system, adopted by California in 1921 and subsequently by over thirty states. In 1910, she became the first female deputy district attorney when she was appointed to the Los Angeles District Attorney’s Office. Ms. Foltz also authored the Women’s Vote Amendment for California, in 1911, which recognized women’s right to vote. Ms. Foltz was the first female clerk for the State Judiciary Committee; the first woman appointed to the State Board of Corrections; the first female licensed notary public; the first woman named director of a major bank; and, in 1930, at the age of 81, she became the first woman to run for Governor of California, albeit unsuccessfully. Ms. Foltz also founded and published the San Diego Daily Bee newspaper and the New American Woman magazine. Ms. Foltz’ life was one of courage and tenacity, but there are so many women legal pioneers who continue to inspire us and pave the way for many women to follow. In California, these women have been formidable. 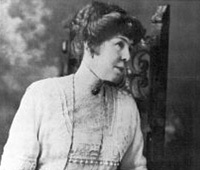 Clara Cushman was the first practicing female attorney in Orange County in 1922. Rose Elizabeth Bird became the first female Justice in 1977, and later became the first female Chief Justice on the California Supreme Court. In 1990, Jennifer King became the first woman to serve as President of the Orange County Bar Association. More than a decade later, in 2011, Kamala Harris was appointed to be the first African American and Asian American woman Attorney General in California. And last month, Kathleen O’Leary was appointed as the first female Presiding Justice of the Fourth District Court of Appeal, Division Three, located in Orange County. Even as she was claiming professional firsts in the legal world, as the mother of five children, Ms. Foltz encouraged women not to overlook their mothering roles. Almost 150 years later, women lawyers nationwide still seek to achieve that ever-elusive balance of legal work and family life. Hence, in January 2012, Mommy Esquire was formed—the first OCBA committee that focuses specifically on practicing lawyers with school-age children. The committee selected the name “Mommy Esquire” because it is geared toward women lawyers with small children, although the committee is open to daddy lawyers too. The word “Mommy” paired with the formal—and traditionally reserved-for-males word—“Esquire” reflects both professional and familial domains for attorney parents. Mommy Esquire will offer professional networking, social events, education, support, and provide a forum for discussion about issues of particular concern to parenting attorneys. The Committee seeks to provide mentoring from attorney mothers who have prospered as practicing attorneys and support mommy lawyers who are navigating big firms and other legal positions. Darlynn Morgan, of the Morgan Law Group, will serve as Chair of Mommy Esquire and OCBA Secretary Ashleigh Aitken, of Aitken, Aitken & Cohn, will serve as Vice-Chair. In addition to its monthly lunch meetings, Mommy Esquire will plan events that celebrate and incorporate families, so that more lawyers with young children will be able to participate in meetings and events. Planning is underway, and Mommy Esquire’s inaugural event is scheduled for March 24th. Please check the calendar on www.ocba.org for details. Dimetria A. Jackson is 2012 President of the Orange County Bar Association, a freelance attorney with Montage Legal Group, handling corporate transactional matters, and the Chief Executive Officer of www.redBAMBINA.com. She may be reached at president@ocbar.org.